12-speed road drivetrains are finally here and with 12 gears on the rear means a new 12-speed chain. 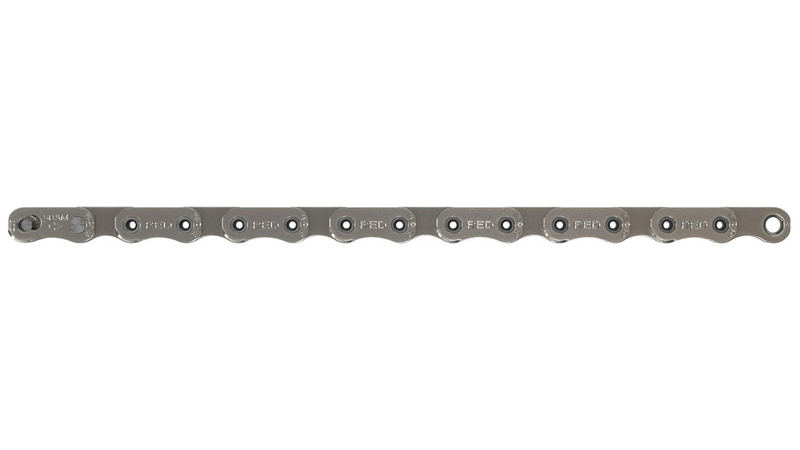 The SRAM Red AXS Chain is a narrower and lighter chain that has a unique link shape that increases the strength and provides more space between the outer plates of the chain and the cogs on either side. It features Flattop technology that enables a narrower chain with quieter operation and increased strength and durability. The Hard Chrome plated inner link plates and rollers provide reduced wear and prolong the life of the chain. This chain comes with 114 links and requires a new Flattop Powerlock.